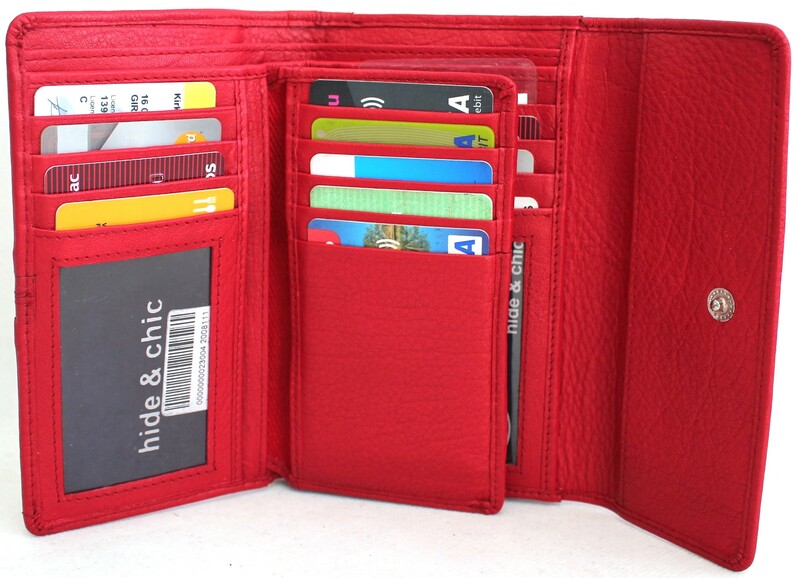 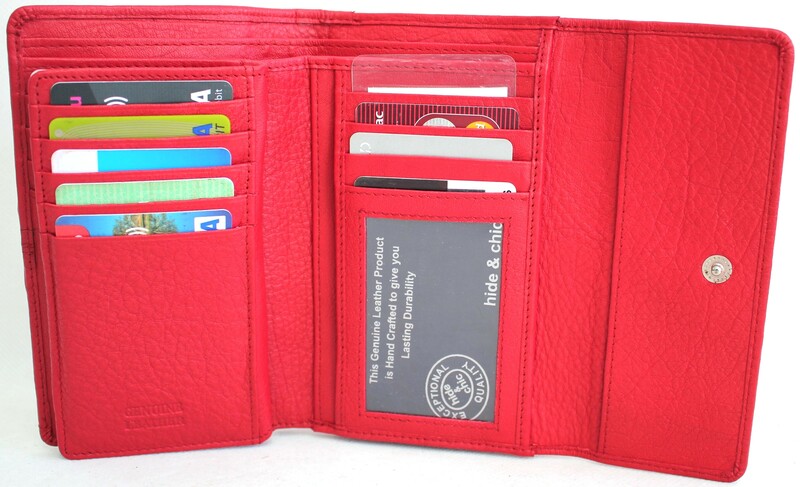 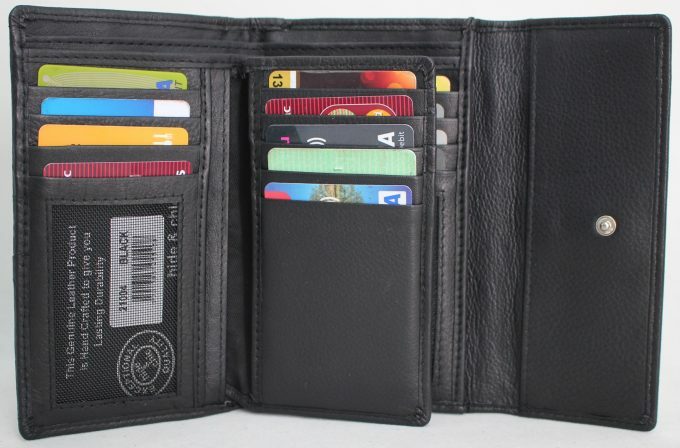 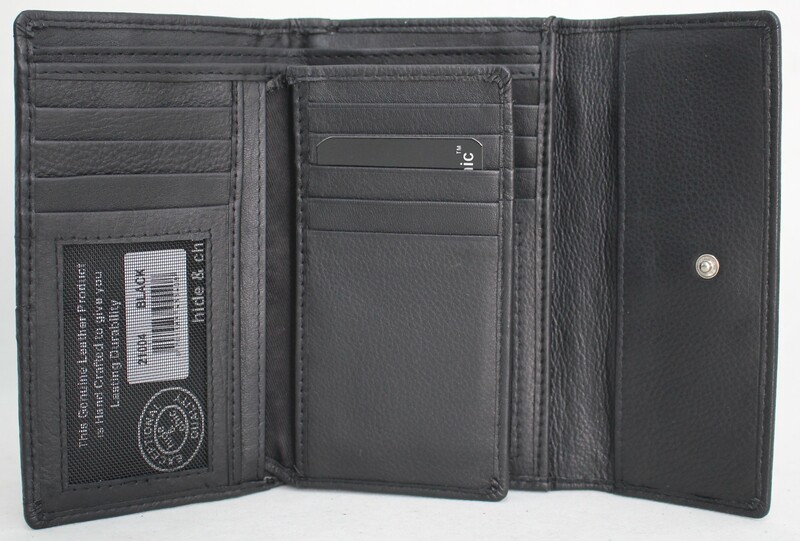 This wallet holds over 14 credit cards and two spaces for photographs. We use quality YKK zippers and wallets are RFID protected so pay pass will only works once your cards are removed from the wallet. 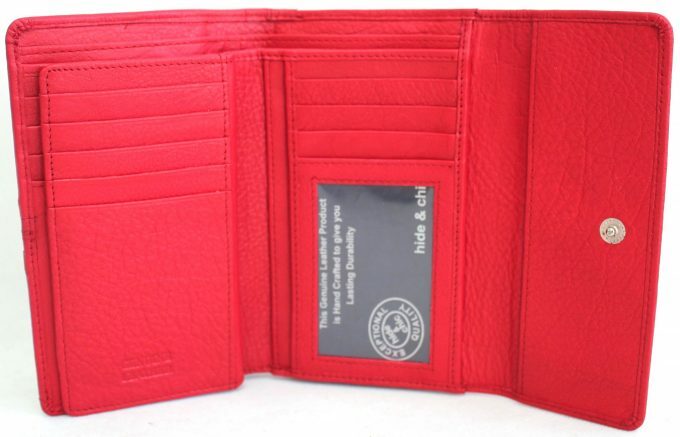 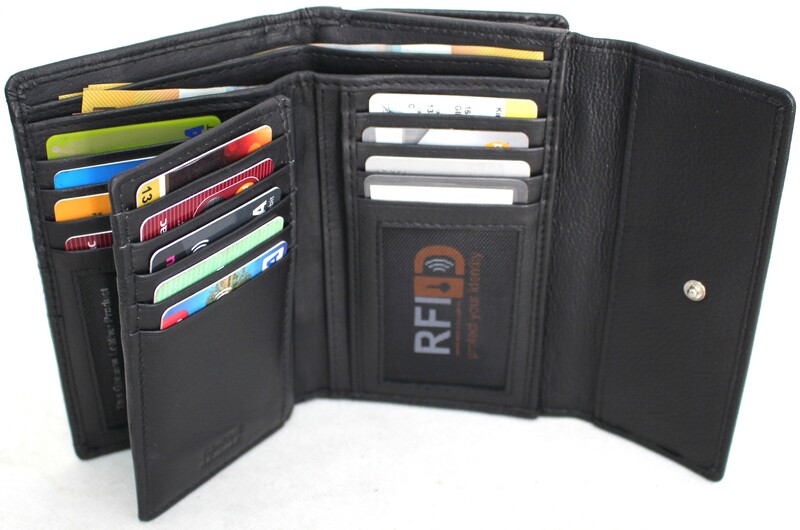 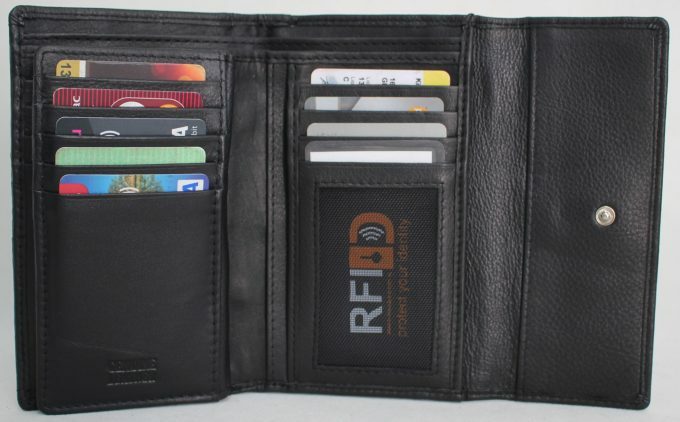 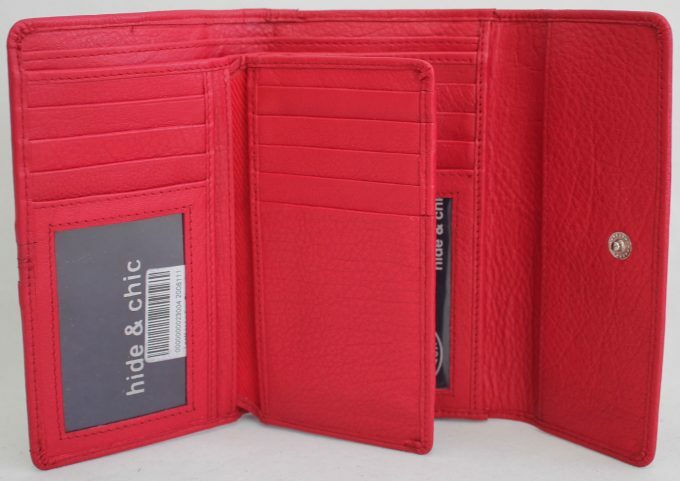 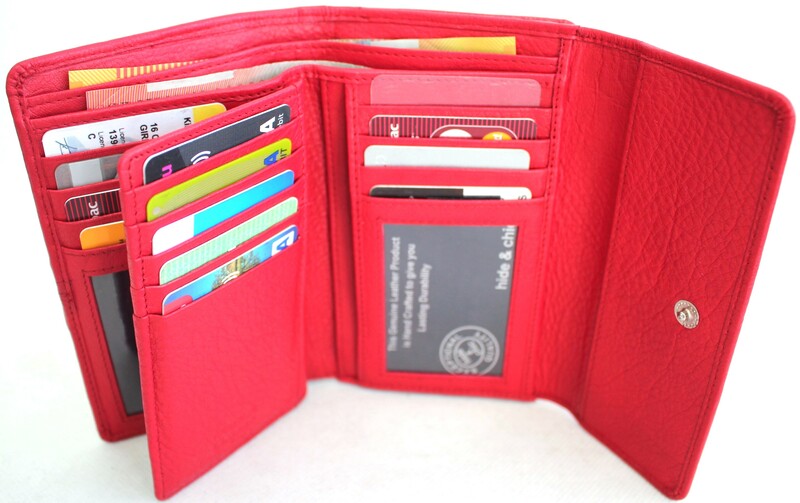 And RFID wallet is essential when travelling. 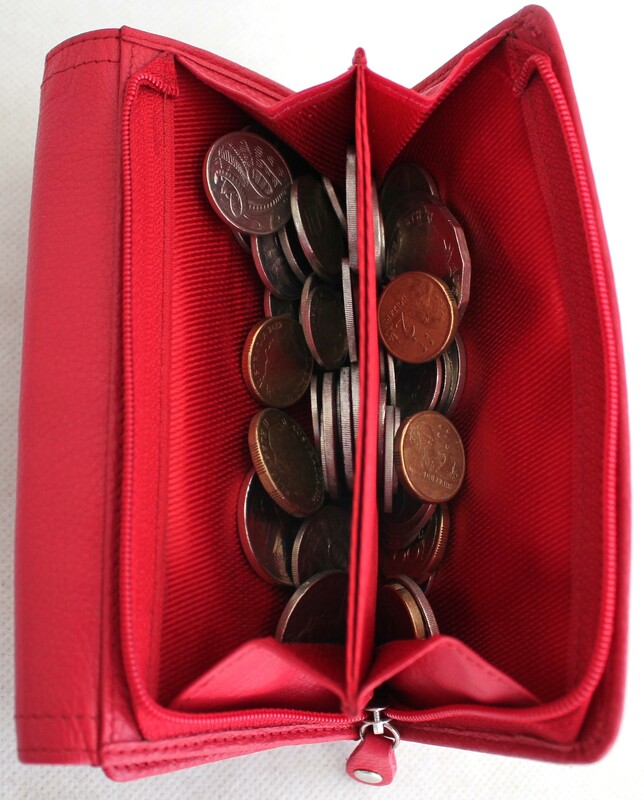 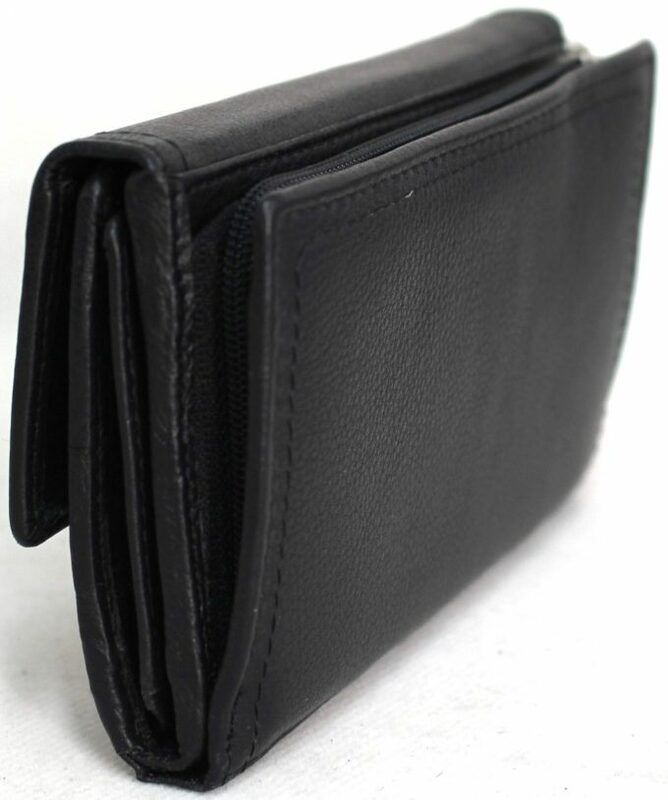 NO man made material is used in the product leather in and outside the purse. 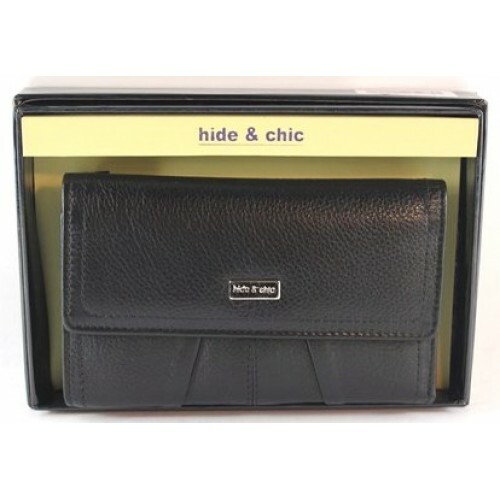 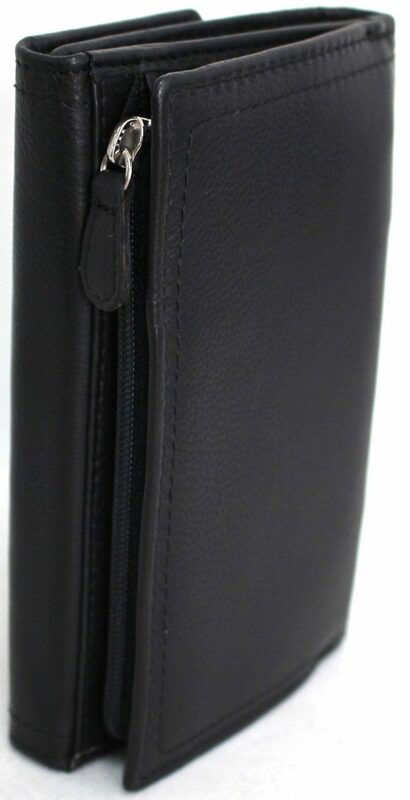 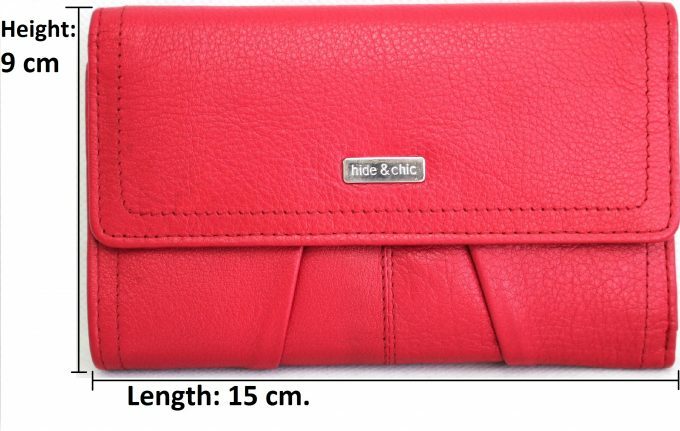 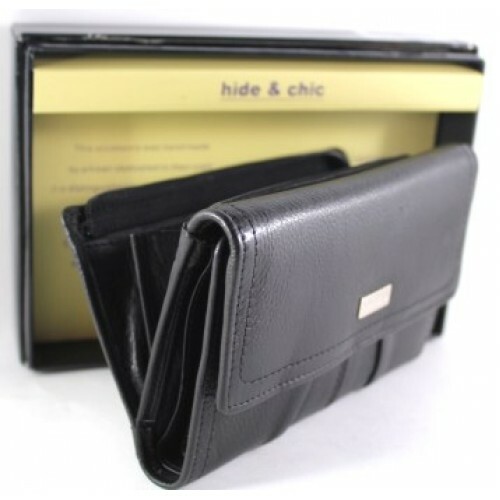 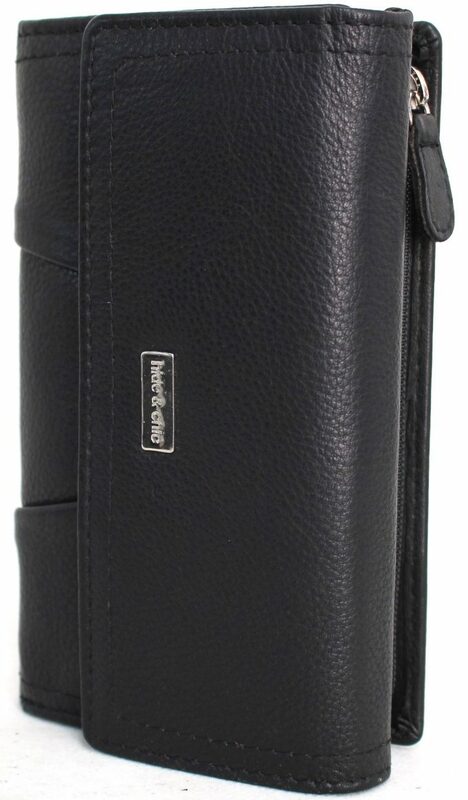 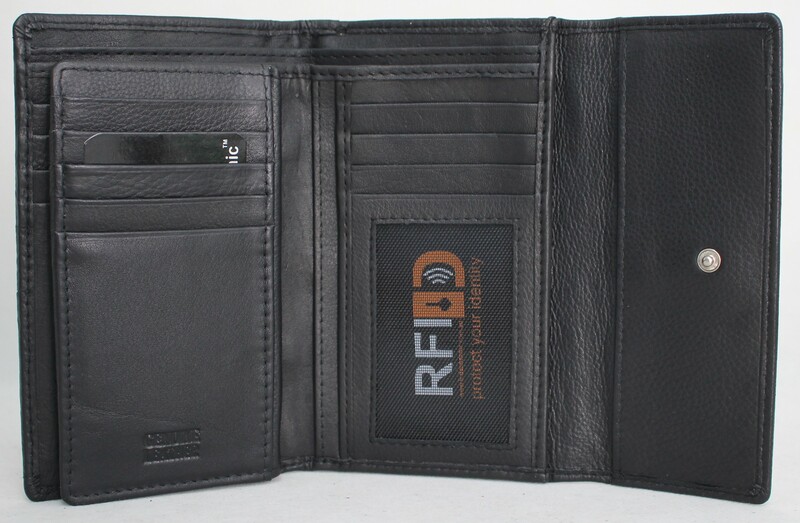 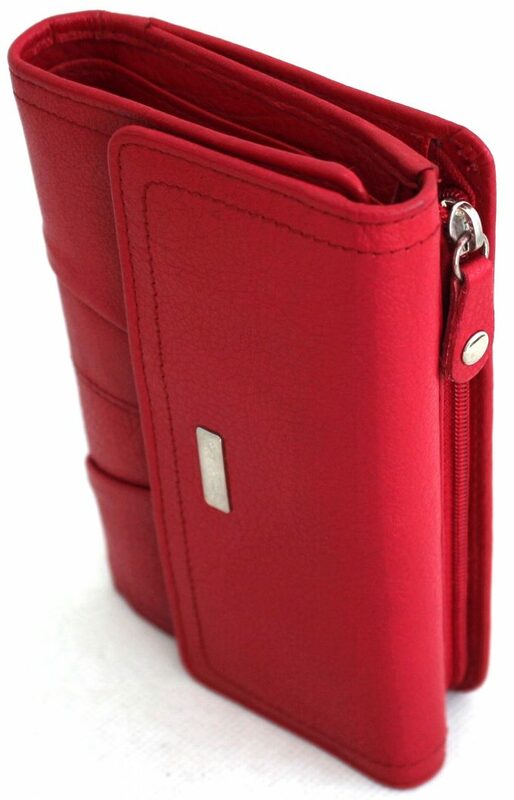 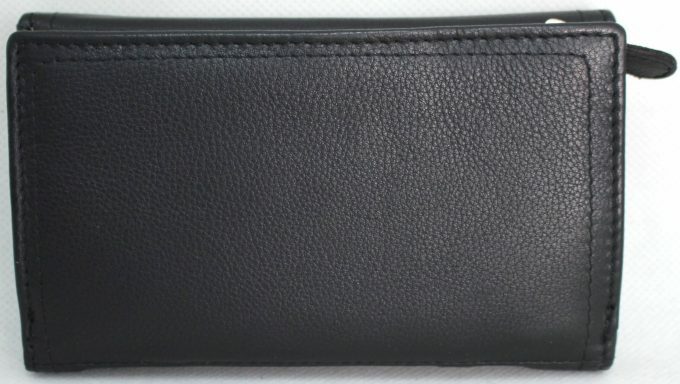 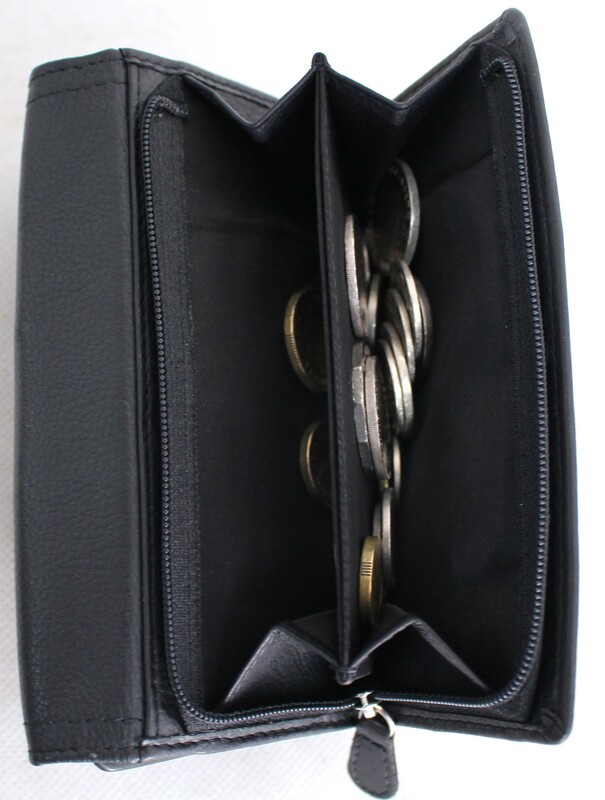 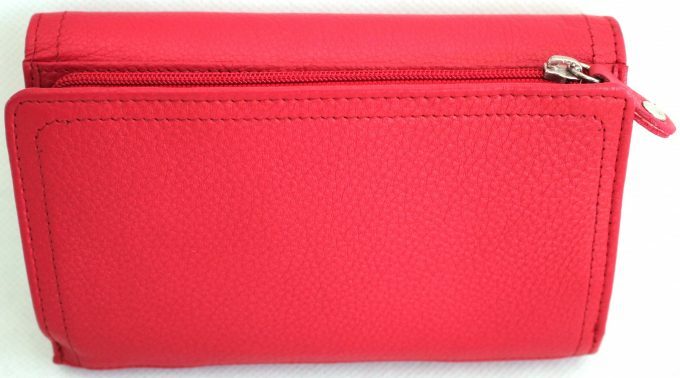 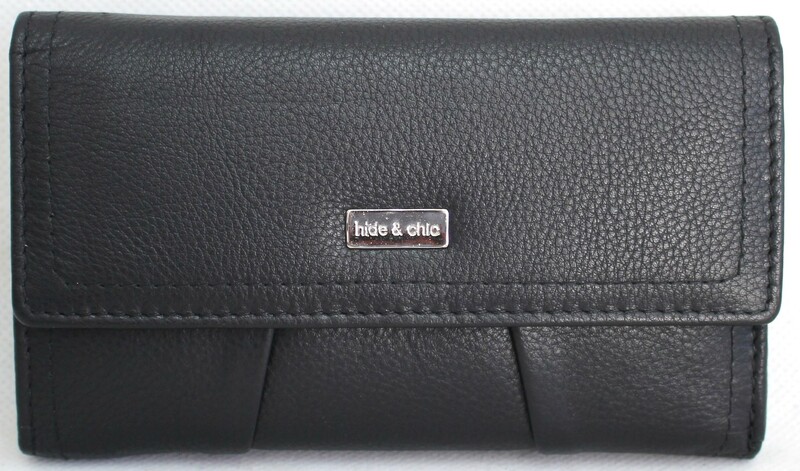 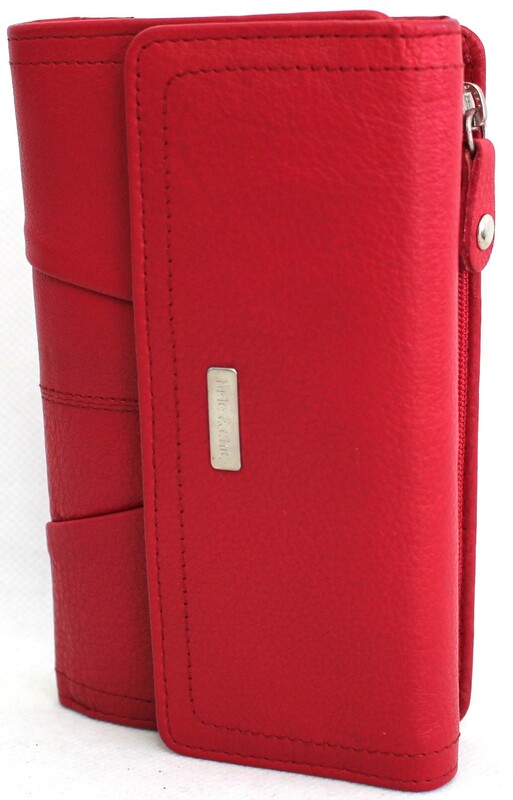 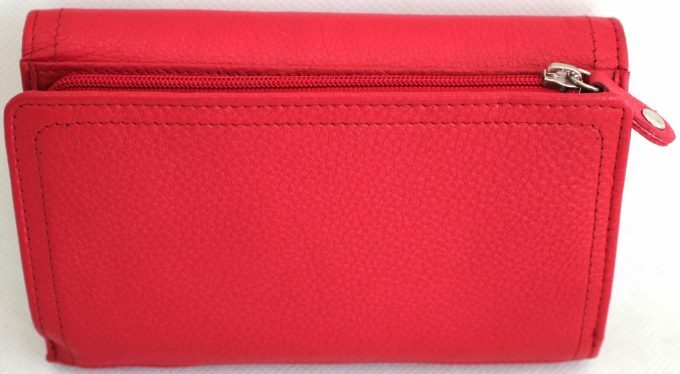 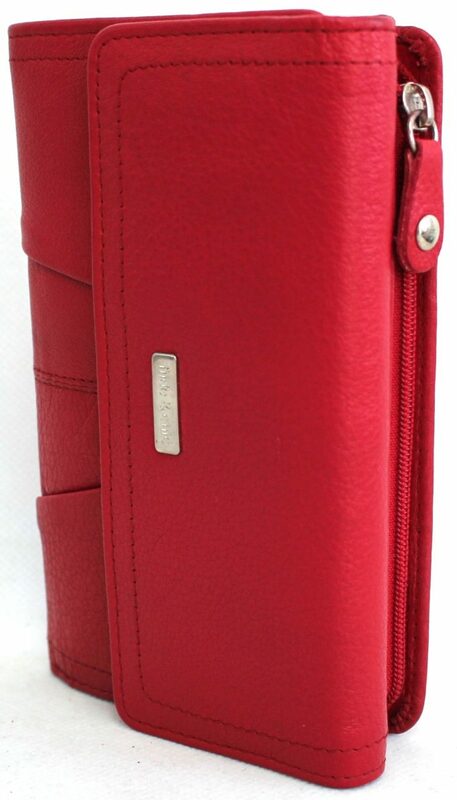 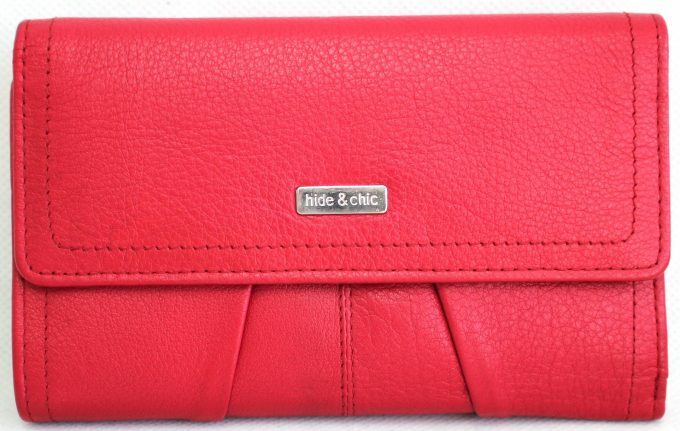 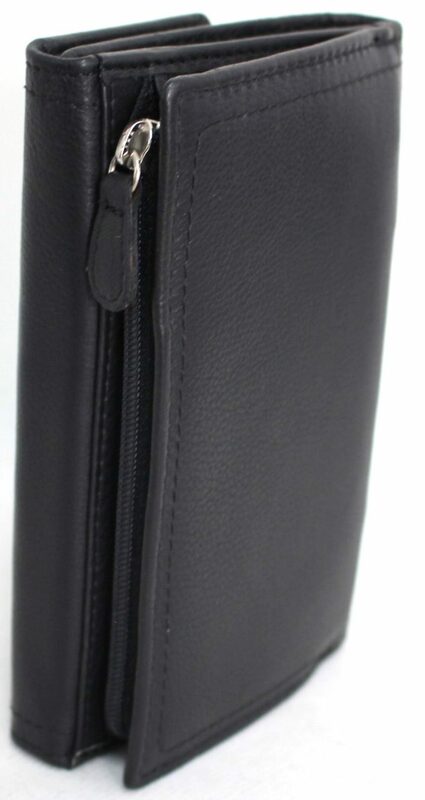 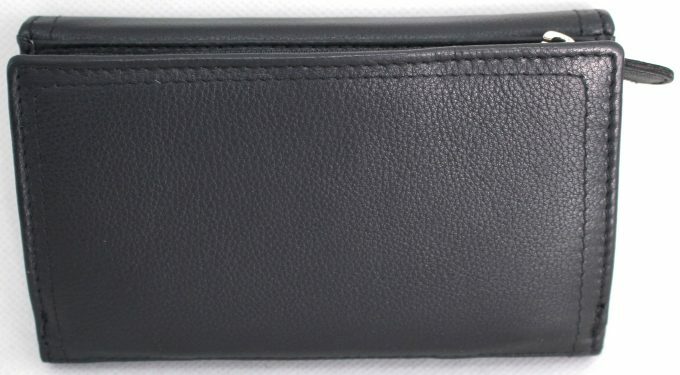 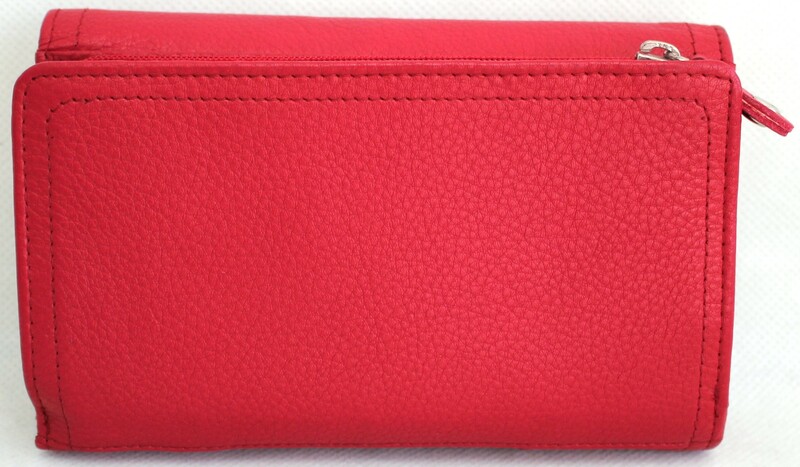 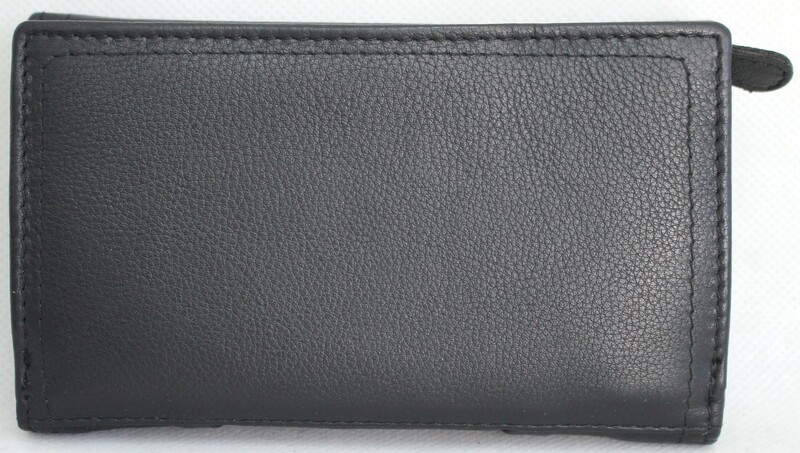 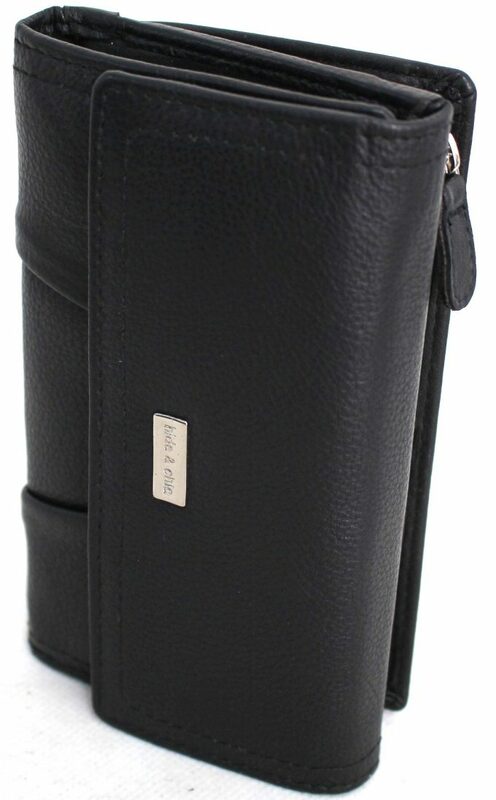 RFID Security Lined Quality Full Grain Leather Purse. 22059. Black, Red, Hunter.